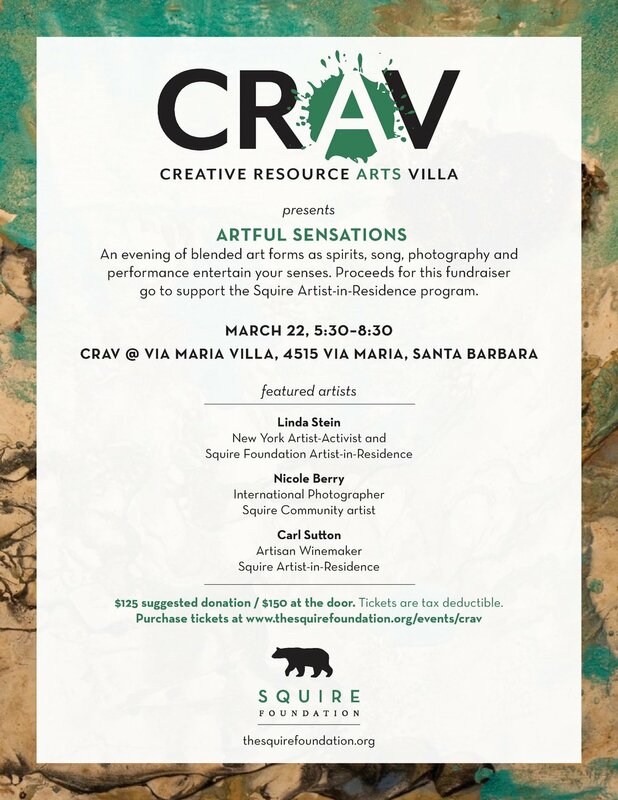 Enjoy this video from last year's CRAV event! On behalf of the Squire Foundation and Liverpool University Press, you are invited to Jodie Hollander’s readings of her debut poetry collection, My Dark Horses ($19.95 Liverpool University Press). Jodie Hollander will read from My Dark Horses at the Squire Foundation, Santa Barbara on 25th January alongside fellow poet, John Ridland, who will read from his recent collections Epitome and Epiphany and Mountain Music. RSVP to jana@thesquirefoundation.org for location and directions. John Ridland taught English literature and creative writing at UCSB from 1961 to 2005. He and his wife Muriel wrote And Say What He Is: The Life of a Special Child (MIT Press, 1975). An Epitome and Epiphany, based on that story, has been recently issued from the Dowitcher Press in Santa Barbara. Since retiring he has published two books of his own poems, Happy in an Ordinary Thing and Mountain Music, and one translation from Middle English (Sir Gawain and the Green Knight) with another forthcoming, Pearl, by the same poet; and three books translated from the Hungarian poets Sándor Petöfi, Sándor Márai, and Miklós Radnóti, the latter two with Peter V. Czipott. For the Petöfi volume, John the Valiant, he was presented the Balassi Sword Award, and in 2017 he was named a Mid-Coast Literary Treasure. 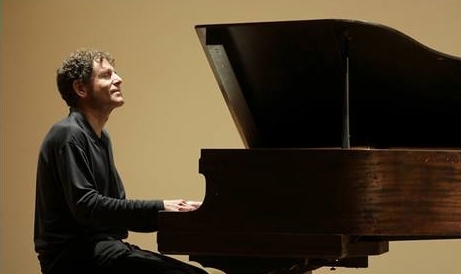 Louis Landon is a composer, Steinway artist and pianist for peace. His career has taken him around the world playing a variety of styles with some of the most recognized names in the entertainment industry: classical music for Mikhail Baryshnikov on national and international tours, Latin music with "Pucho and his Lain Soul Brothers" on national and international tours, pop music with Rupert "Pina Colada Song" Holmes on television and national tours, rock and roll with John Hall, opening for "Little Feat" on national tours. For the past 28 years, through his production company, Landon Music Company, he has written and produced music for film, video, and commercials, including three ears of "best plays" and bloopers" commercials for the National Basketball Association. He has released 26 albums/CD's; his latest, "Looking Beyond the Mirror" was released on December 25, 2017. 3. To awaken and to assist people in healing themselves through music and mentoring. You can create a Louis Landon Pandora station and you can listen to Louis Landon on Spotify. Refreshments and wine will be served.